This is a legit mimeograph, kids (although used here solely as a prop). 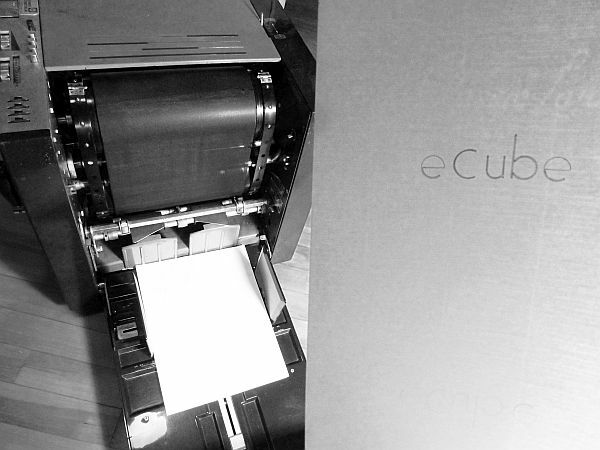 Our monthly (mostly) email newsletter, eCube, is undergoing some transformation. Much as we’ve loved our typewriters and mimeograph, our photocopiers, our plain text over the years, it’s time to move to something that makes our newsletters a little easier for you to navigate and a bit easier for us to prepare — and that also connects with our website and social media. As of today, eCube will now be delivered via MailChimp. If you were already a subscriber, you should have received an email welcoming you to the new service. If you didn’t receive that email, you can verify your subscription (or subscribe for the first time!) below. If you’re worried that your eCube may go into your spam folder, add the email sf3communications@sf3.org to your safe sender list. If you’re a Gmail user, we do want to warn you in advance that Google often routes MailChimp emails to your Promotions tab. Don’t forget to check for it there if you don’t see it in your inbox! eCube is still going to come out monthly — and we expect we’ll do twice-a-month newsletters in April and May as we get closer to the convention. Our email newsletter is a great way to get a handy monthly reminder of all our upcoming deadlines, articles about what’s going on in WisCon planning, and tips on how to make the most of your Memorial Day weekend. As we had a concom meeting this past Sunday, here’s a link to the subsequent edition of eCube. Among other things, the eCube includes round-up of recent harassment statements, WisCon 38 statistics, various round-ups, & an invitation to join the WisCon 39 concom. WisCon 38 & SFRA are fast approaching! Check out our latest eCube for information on a spontaneous writing contest and also daily deals to make your weekend potentially more affordable. Check out our new eCube, with important information about the recent Mumps outbreak in Madison, updates on Inn on the Park, volunteer opportunities, affordability information, and more. A new eCube came out on April 11th. Check it out for information about hotels reservations, confirming preliminary programming assignments, the dessert salon, role-playing gaming, things needed for children to take apart, SFRA, and more. We also need volunteers to run activities at the Gathering and someone to run the Tiptree Bake Sale. You can read the eCube online here. Check out our latest eCube! Information about hotel reservations, the Concourse Hotel’s partial remodel, how to request ASL interpretation (deadline is April 1st! ), and two volunteers needed: one at the Registration Table & one to be At-Con Tiptree Bake Sale Coordinator. Check out the new eCube! eCube Vol. 38, #3, is out. You can read it here. There’s a lot of information in here, particularly about upcoming deadlines (Art Show’s is this Friday!). We also have information about how you can help WisCon, donate items for the Tiptree Auction, sign up for programming, and submit suggestions for Guests of Honor for WisCon 39. –Learn about our 6th floor room deal. If you sleep on the party floor at the Concourse, you can receive a room discount. This process is first come, first served. –WisCon needs a video archivist. We have recorded many GOH speeches and Tiptree ceremonies, but currently nothing is done with these recordings. Help preserve & share WisCon history, if you can! –Last year was the first attempt at organized gaming at WisCon. We’re seeking more feedback & volunteers for gaming at WisCon 38. For more information on any of these topics, please see the eCube. eCube #7 is now online, with updates on available ad space in our souvenir book, hotel information, and a programming update. There’s also information about author John Scalzi doing a reading at Room of One’s Own on the Thursday of WisCon, before the GoH readings.